Building email functionality is a surprisingly complex and specialized task. SparkPost’s robust email API makes it simple to embed email into any app or website. With SparkPost’s robust REST email API, your application can take control of every SparkPost feature: manipulating templates, generating messages, sending emails, and reporting performance data. If your app sends email with SMTP, it takes just a few configuration settings to start sending with SparkPost. Nearly every email API feature can be invoked via SMTP, so even legacy apps can leverage our robust delivery, analytics, and more. Real-time webhooks (HTTP callbacks) can trigger actions in your app when an email is opened, clicked-through, or bounced. Create as many different webhooks as your business needs, solving problems as diverse as product workflow and data warehouse ETL. Use SparkPost with the language of your choice and help your developers hit the ground running. 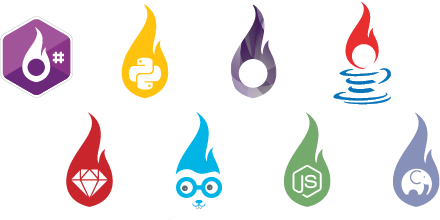 Client libraries for popular languages like Node.js, C#, Python, Java, PHP, Go, and others mean SparkPost is an easy fit for every product. Access the SparkPost Academy to learn why Email APIs are the most performant way to send and manage email notifications and other transactional email messages. Email has a number of details that turn out to be gotchas for developers. Here are 10 things you might not realize about email.